As you all know my brief is to depict the role of commercial publishers in production and dissemination of literature. has come to fruition over the years. most other African countries, but a lot still has to be done. distributed their tantalising books far and wide. indeed who did literary wonders for our continent! Ngugi oa Thiongo, Chinua Achebe, Wole Soyinka, Dambuzo Marechera, Kofi Awoonor, Ayi Kwei Armah, Mongo Beti and Oyono. encapsulated in the phrase "blacks would rather not read" It is a lie. When I was doing my research before writing the biography of the legendary writer Dr. K.P.D. 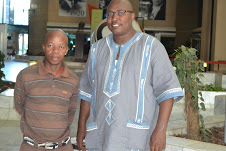 Maphalla I talked to his son, Setjhaba Maphalla who is now the Director of communication in Premier’s office. He told me that when he was young he was forced to read as his father had converted one of his rooms into a private library. We must follow suit and inculcate the culture of reading in our children from when they are still young. publishing firms benefitted from this for about a decade now!!! 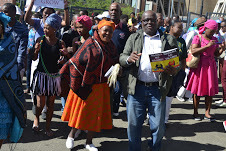 We have under our stable the legendary all time great of Sesotho Literature Dr. K.P.D. Maphalla whose books can be enjoyed for pleasure and for study at schools and universities. Publishing him was a great blessing and we will always be grateful to him for having added weight to the reputation of our humble publishing house. many major international libraries in America and Europe. booksellers by the side of the roads hawking their literary wares!. expensive...they sell very slowly as most people cannot afford them,"
Without books, how will we know the other African stories? without books the world will be deadly walking, and people will be talking no-sense no scene.Mr Lechesa outline the importance of books, from writers, publishers,book prices, libraries and distributions of books to reach number of people to read the quality work.You continue to ensure that literature grows with good quality and continue with your great job Ntate to produce powerful writers like Ntate Rampai. Tebogo Ditshego is one of the good example as well in terms of the growth of literature and turn it to business wisely. Pula nala.